Broadband connectivity, cloud computing, social media, data collection and management are converging, fundamentally altering how we interact, consume, and transport, shaping a new urban landscape blurred by a simultaneity of digital and physical stimuli. This process is called “digitization”. The pervasive adoption of a wide variety of digital, real-time, and networked technologies, products, and services enable people, companies, governments, and even machines to stay connected and communicate with one another, gather, analyze, and exchange massive amounts of data on all kinds of activities. The construction sector has been slow to adopt developing process and technological innovations, unable to apply digitization among main categories of labor, usage, and assets. Particularly, the overall industry has been slow in integrating digital fabrication tools into workforce. How will the implementation of digital fabrication tools affect design, life and interaction within new habitats? How might we shape a new digital consciousness of our environments? As part of the GSS18 program, students will define strategies for the applications of Advanced Digital Design Strategies as an essential mean for change. Testing the combination of software and hardware students will explore real-time data capture, energy generation, storage and reuse, material adaptability, real-time management of time-uses and citizen-space interaction. Over the millennia, the way men interact with cities has changed just a little, with changes fostered in many cases by technological advancements. Today we assist the phenomena of ever-connected-citizens, capable of reaching the history of information, any time, any where. What if the built environment was designed and made with the ability to use technology to interact with people? Is a building just a bunch of bricks, steel and glass? Or can a building be able to communicate with people? And if the whole city could interact with its citizens without human control, could citizens establish a bi-directional kind of interaction with their “semi-sentient” city? These premises shape the orientation we will base our study and research. 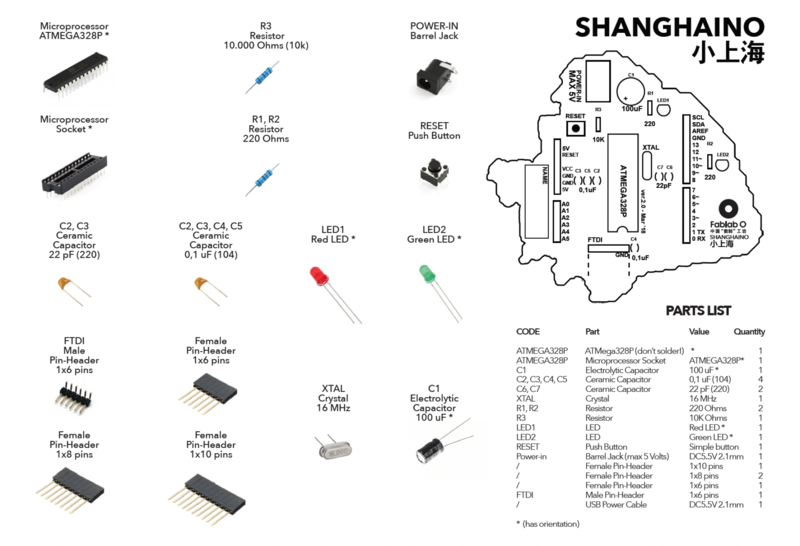 The organizing team is part of Tongji University Design and Innovation College and Fablab O Shanghai; both institutions stand on solid architectural design foundations but aim to explore new and innovative patterns for the city of the future, which Shanghai as an ecosystem is now more than ever promoting. We will explore how to collect, decode and use data from various sources, work with elements of parametric and algorithmic analysis to translate data into design criteria and use digital fabrication tools and techniques to create an architectural scale interactive installation that will be publicly exhibited at the WIEE Expo in Tongji Jiading Campus. J.travis Russett, founder of bēstia—a laboratory for symbiotic life-machine exploration, imbues his works with an erotics of wildness, the spirit of humanity, nature and intelligent machines. Since 2016, J.travis has lead bēstia to embody a culture of interdisciplinary fabrication and rapid prototyping, evident in developing works: dìshūBot, a self-learning robot that paints Chinese calligraphy in water (featured in the 2017 Bay Area Maker Faire) and Pure Imagination, plant fed microbial fuel cells that will power our homes and much more. J.travis holds a Master degr ee in Architecture from UCLA and a Fab Diploma of the 2017 Fab Academy. Further, he is a researcher at Tongji University of Shanghai, developing STEAM education and outreach in a number schools and universities throughout Eastern China. Sohith is an architectural designer with a broad range of experience in architecture, urbanism and interior design. He is a founding partner of Design SPI, a practice based out New York City. He directs the creative vision of Design SPI, which attempts to bring together research and new design techniques through a lens of elegance. After working in New York for a number of years, Sohith attended Columbia University’s Graduate School of Architecture, Planning, and Preservation where he received a Masters degree in Advanced Architectural Design. There he studied computational design and architectural history and theory. Prior to Columbia, Sohith attended Ball State University in Indiana, USA where he received his Bachelor of Architecture and Bachelor of Science in Environmental design. With a range of experience in project delivery of complex architectural designs in several countries, including USA, China, India, and Saudi Arabia, Sohith has worked on projects such as the Harbin Labor Recreation Center for MAD Architects, and the KAFD Iconic Metro Station for Zaha Hadid Architects as a project manager and lead designer. Having produced design-work within a variety of project types such as urban masterplanning, residential complexes, office towers, museums, and transport infrastructure, he explores a diversity of project types and scales for architectural innovation opportunities. Sohith is interested in furthering design utilizing computational design techniques and realizing it through new means of fabrication and installation. The Summer School will be held during the WIEE18, World Innovation and Entrepreneurship Expo 2018 that will also host the Innovation and Entrepreneurship Summer Carnival, from June to September. Activities will include 2018 SLUSH Shanghai, 2018 Shanghai Maker Faire, 2018 China-US Youth Maker Competition and Forum, 2018 Cross-Strait Youth Maker Competition and Forum, 2018 Shanghai STEAM Innovation & Entrepreneurship Forum, etc. During the summer, WIEE will cooperate with partners, researchers, guests and speakers from home and abroad and attract students from Chinese and foreign schools and colleges. Integrated with educations, scientific researches, cultural exhibitions and Makers’ activities, a co-innovating and sharing community will be created. Students in IAAC Summer School will be granted free accommodation for the entire period of the program with access to facilities and the temporary Fablab that will be installed on site. The final project (an interactive installation, a pavillion, etc. ), WILL BE EXHIBITED DURING THE WIEEXPO AND WILL BE VISITED BY THOUSANDS OF VISITORS! The IAAC Global Summer School, which reached this year its 11th edition, is a distributed educational model where participants can explore a common agenda while embedded in diverse localconditions. IAAC GSS is a full-time two-week course open to innovative people,running this year from 3rd to the 16th of July with teams located in Barcelona and other key cities around the globe. The course, organised and led by the network of IAAC Alumni, gives the bases of digital fabrication and parametricdesign, focusing on applications and implications of New Technologies incontemporary cities. IAAC – The Institute for Advanced Architecture of Catalonia (IAAC) is a center for research, education,production and outreach, with the mission to imagine the future habitat of oursociety and build it in the present. 12000RMB, includes accomodation, food, materials, taxes. ­ Bank holder: Shanghai Future Business Consulting Co., Ltd.